In 2007, I was in the market for a new laptop. Now, by nature I’m not really a planner (even when it comes to large purchases, as it turns out). I figured I would show up to Best Buy, ask them, “What laptop should I buy?” and an expert would guide me through the process. Instead, a pimply-faced nerd talked me into an HP entertainment laptop. A few months later the internal wifi stopped working and shortly after that the computer just wouldn’t even turn on. It turns out there was a malfunction in that particular model and it would cost around $400 to fix. Awesome. Needless to say, my lack of planning and gullibility resulted in a busted laptop and $800 wasted. For people like me, there is Swogo, the best way to find the perfect laptop for you (and not get sucker-punched by HP). What will you use your laptop for (everyday use, gaming, multimedia, work)? Will you be using your laptop on the move? What screen size are you looking for? Are there any ports of features that you need? Once you’ve answered these questions, Swogo then “finds your perfect laptop”, including a summary of why that particular laptop is right for you and all the specs you need on the product. 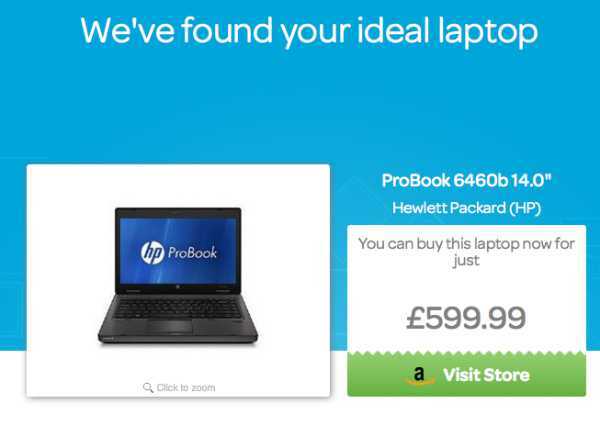 Don’t particularly like the laptop they’ve chosen? No worries, they have several more suggestions at the bottom of the page for you to check out. Two features I particularly like are the specs on the product and the direct link to the seller’s site. 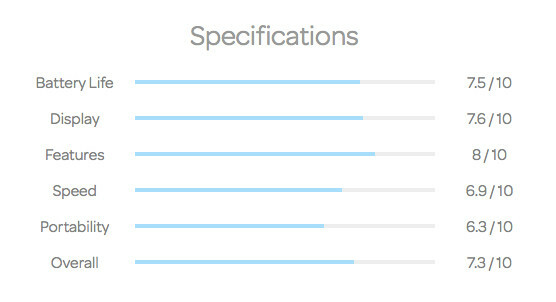 First, the specs are laid out in a ratings infograph so you can clearly see how features such as battery life, display, speed, portability and overall rank out of ten. When you’ve found your perfect laptop and are ready to purchase, Swogo links you directly to the seller’s site. I like any site that makes life decisions easier, especially when it comes to purchasing technology. I know, I know, I’m a renowned tech journalist, I should be super savvy in this department. Not necessarily the case. I wish I knew about Swogo before my HP laptop purchase fail. I’m sure they would have steered me in a better direction. Fun fact! Swogo was successfully launched with the help of Seedrs, the online platform for investing seed capital. Another crowdfunding win!